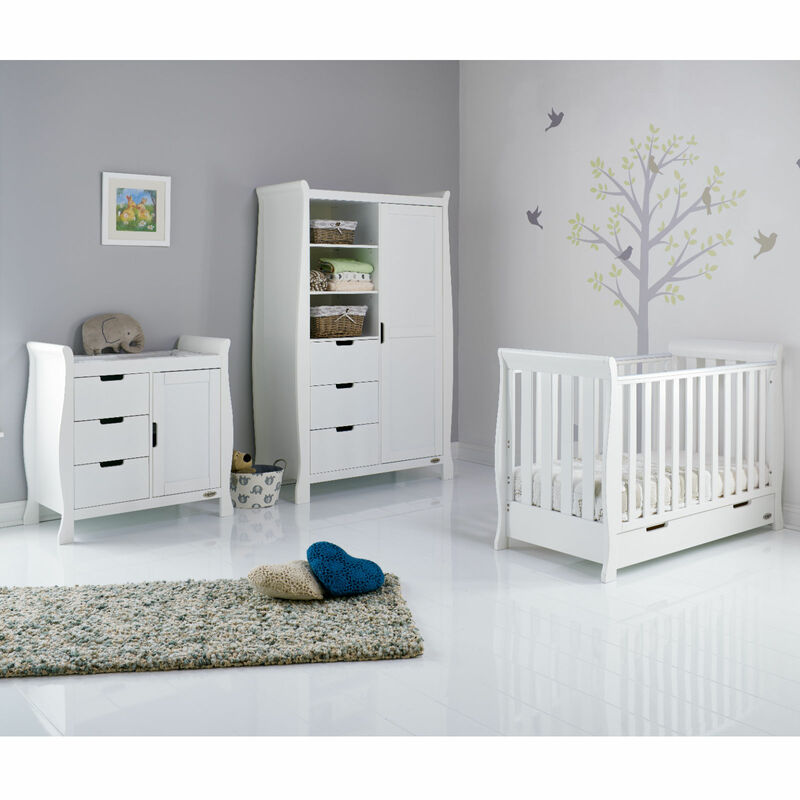 Transform your nursery space by furnishing it in style with the 3 piece Stamford Mini Nursery Room Set from Obaby. 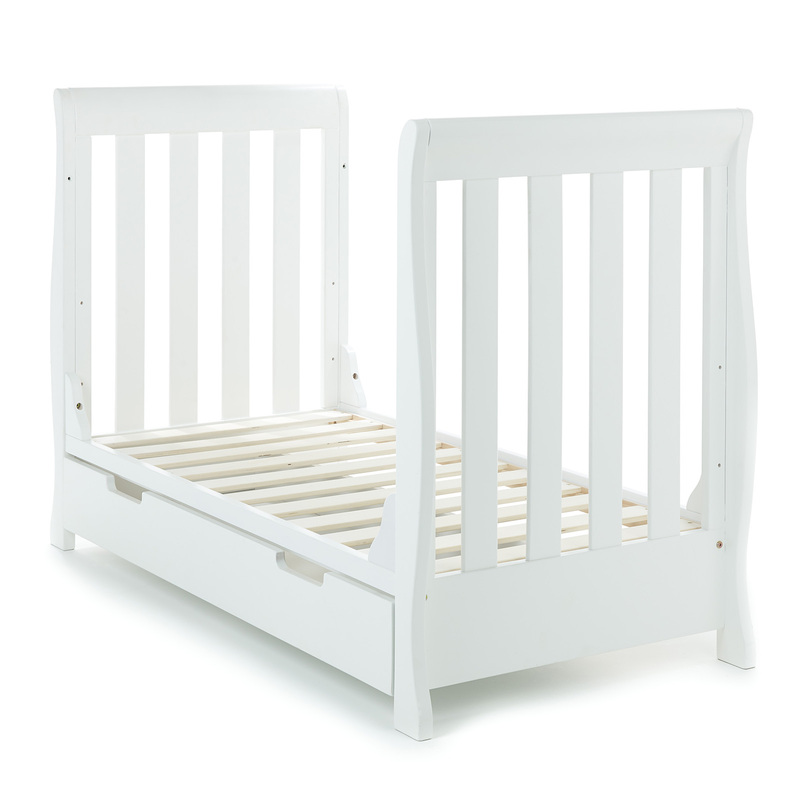 With a highly-desirable curved scroll sleigh design, the Stamford Mini is smaller than standard sized cot beds but offers the same functionality and excellent quality as its bigger brothers. 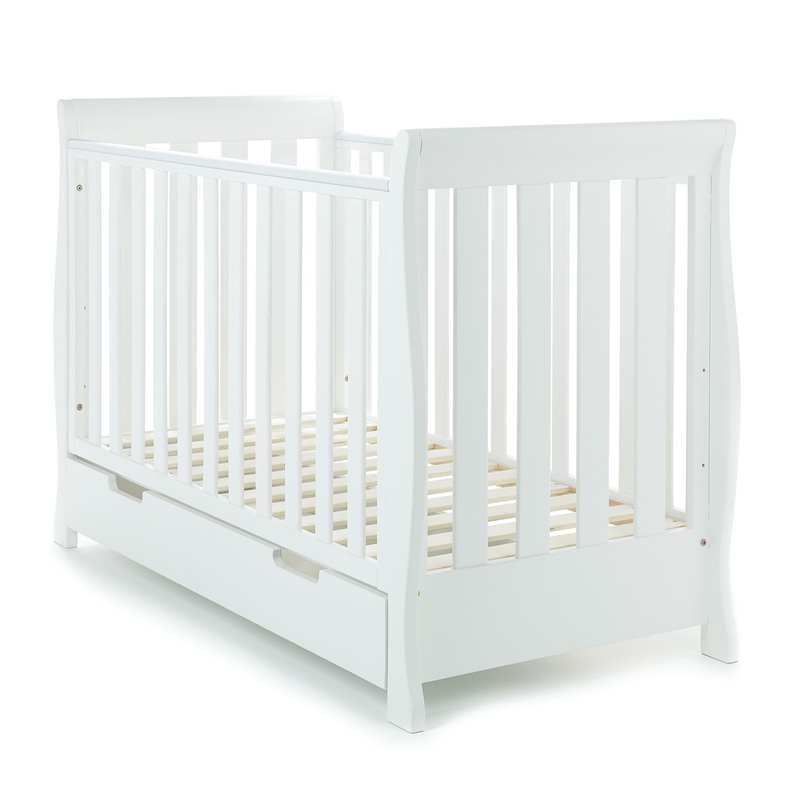 Crafted from solid wood, the Stamford Mini provides 3 base height options and protective teething rails to keep the cot looking its best. The addition of an integral under-drawer with stylish recessed handles offers parents a creative and convenient storage solution for baby’s bedtime belongings. When required, the Stamford can easily be converted into a junior bed and then to a sofa to maintain the usefulness and life-span of this remarkable piece of furniture. 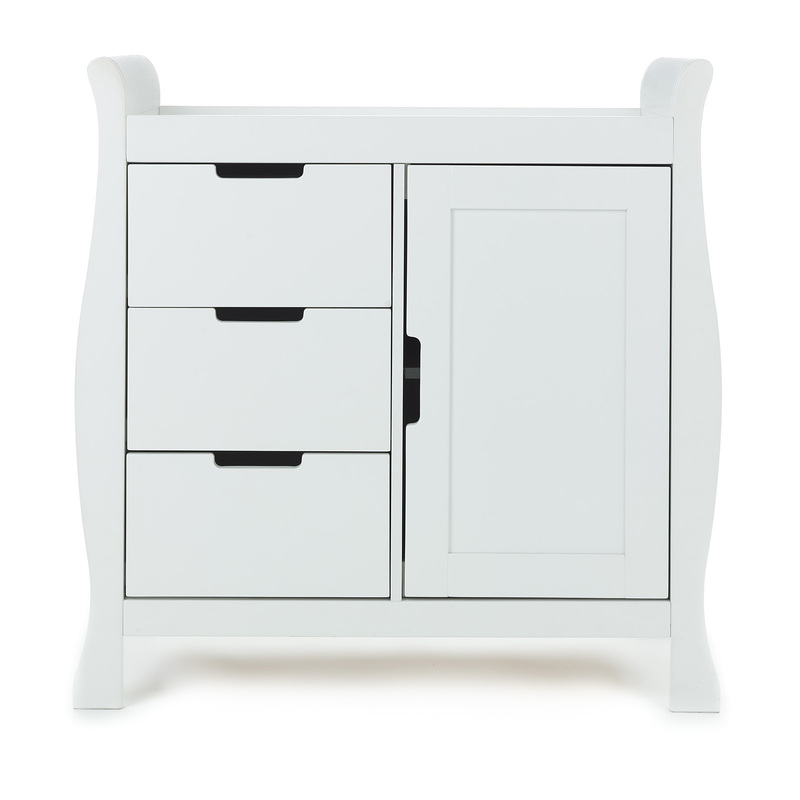 For a chic and elegant addition to your nursery, the Stamford Wardrobe provides plenty of space-saving storage solutions. 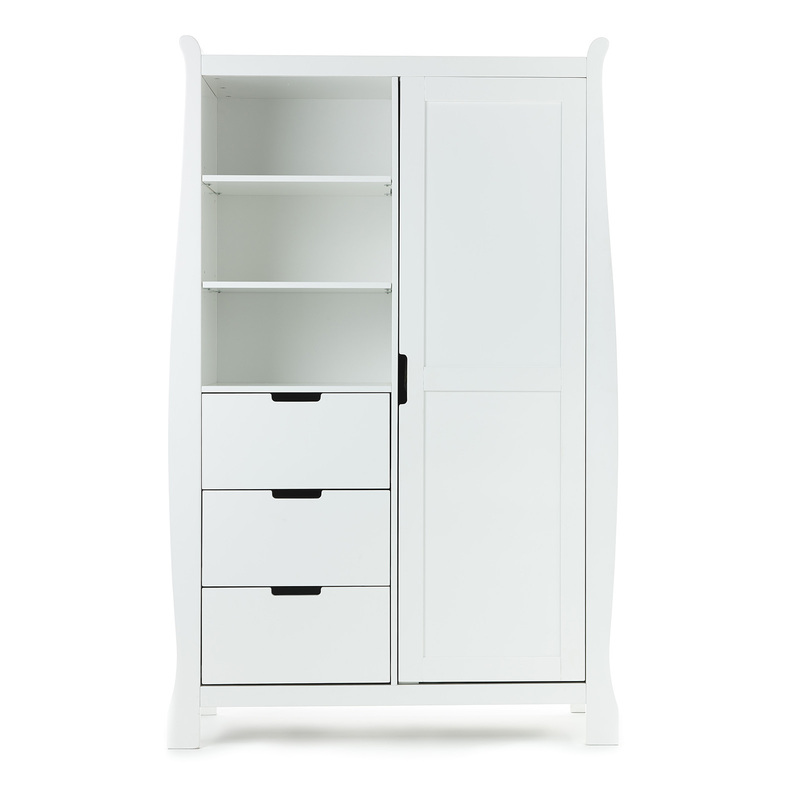 In keeping with the Stamford’s curved scroll design, the wardrobe works in perfect harmony with other pieces from the range, but is also beautiful enough in its own right to be used as a stand alone piece of nursery furniture.